Unbelievably adrenaline rushing viewing during a shark cage dive with the best cage diving company in the UK. Eleven shark divers set off from Newquay Harbour yesterday onbaord "Atlantic Diver" to do one of the" top 10 things to do in Newquay" or even the UK. 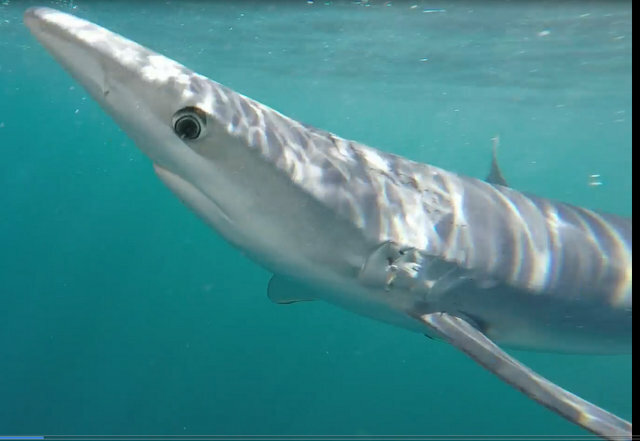 Doubters of the thrill of UK cage diving should feast their eyes on this footage as we experienced 4 Blue sharks, all female ranging from sizes...2.5m, 3m 3.5m and 2m. 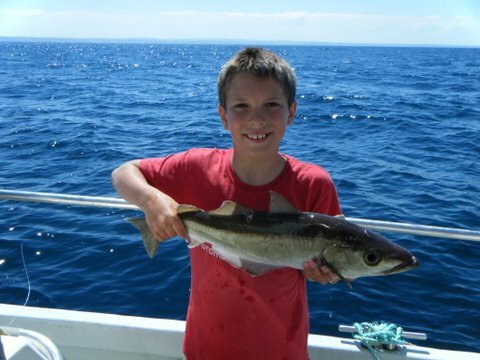 Read more about Shark Cage Diving UK at Its Best!! 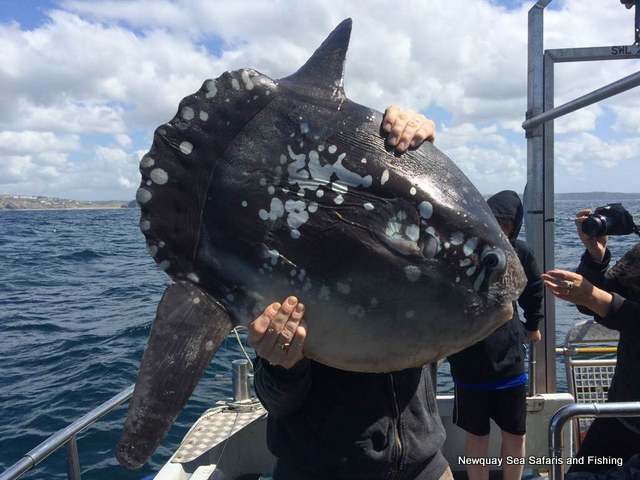 Read more about Huge Sunfish!!! Gorgeous Newquay Seals were chillaxing in The May Bank Holiday Sunshine on one of their favourite rocks .